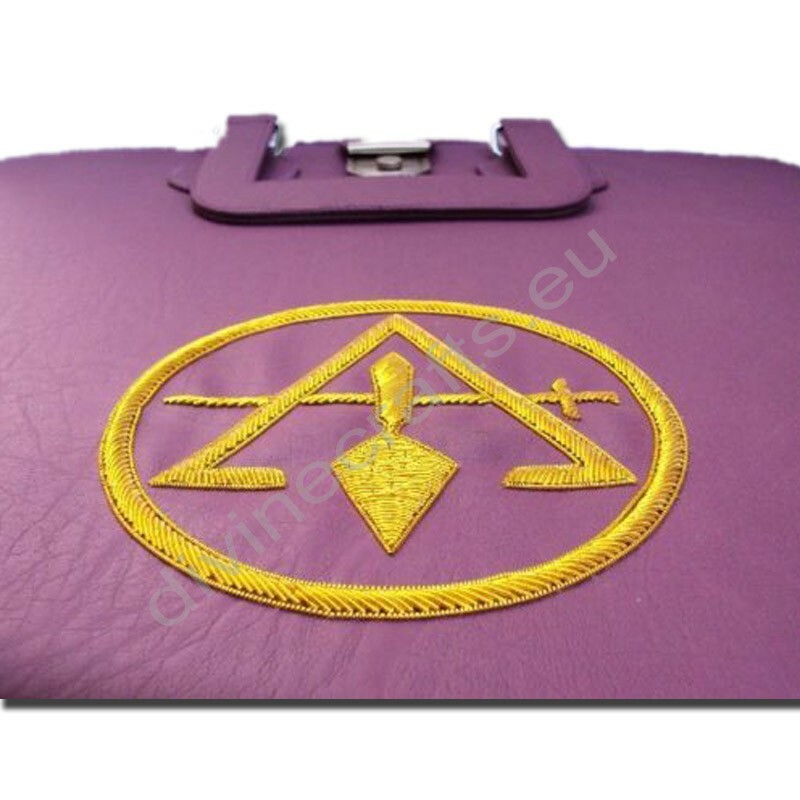 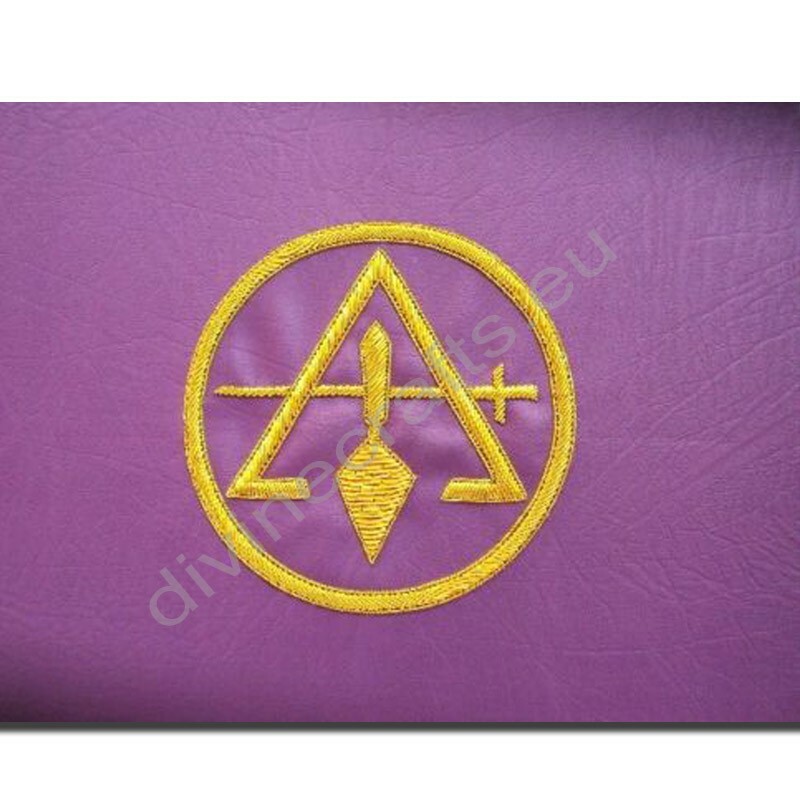 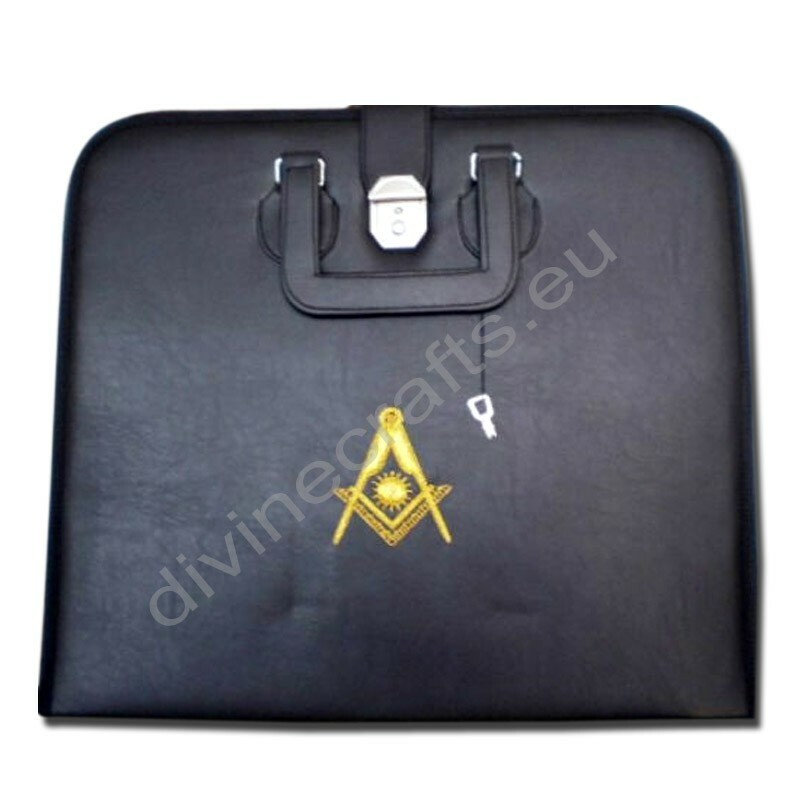 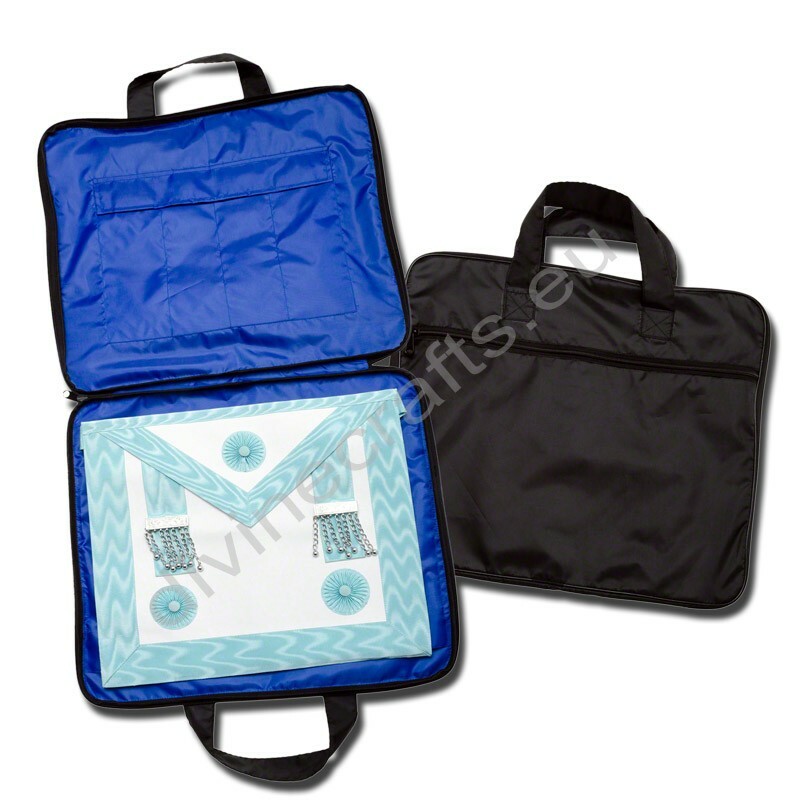 Apron case is made of quality purple color artificial leather trimmed with matching web. 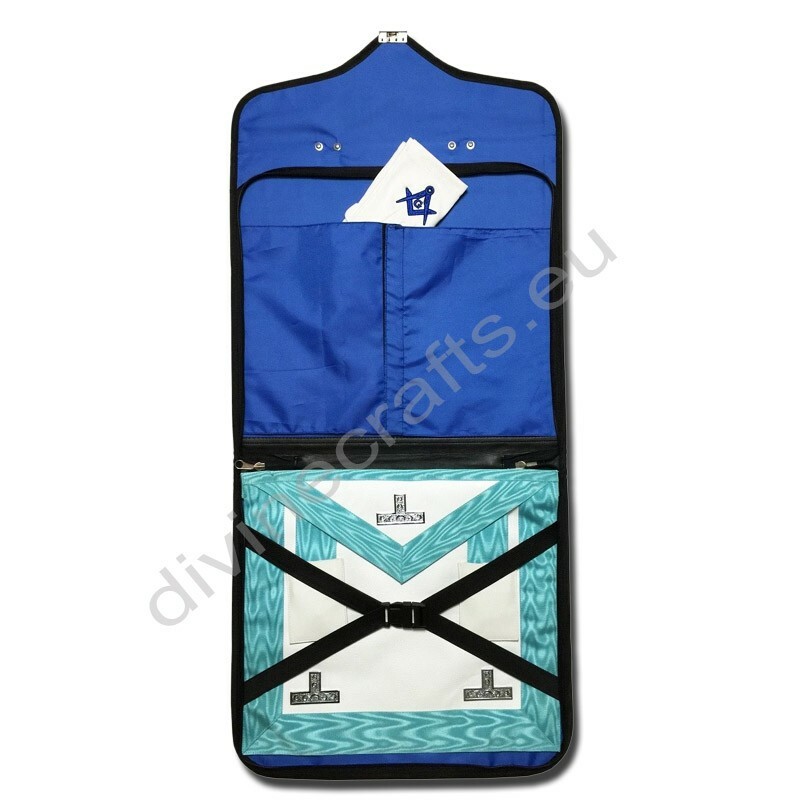 Apron case has 2 handles with a lock and double slider. 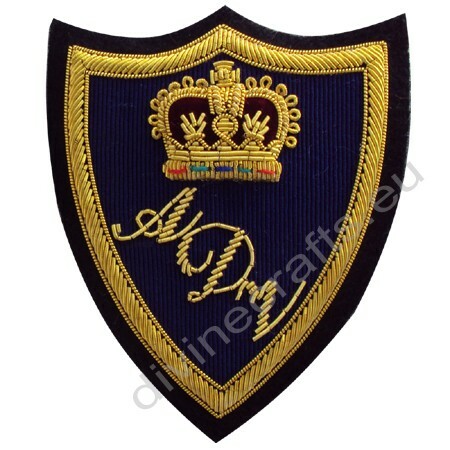 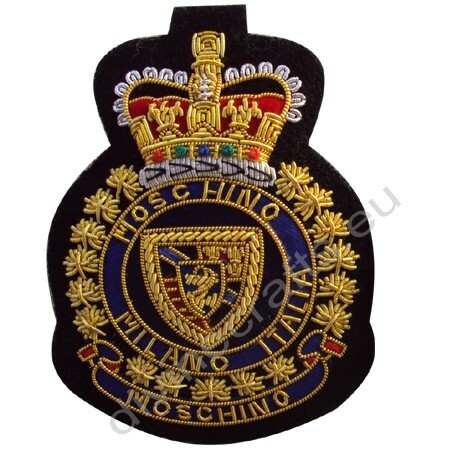 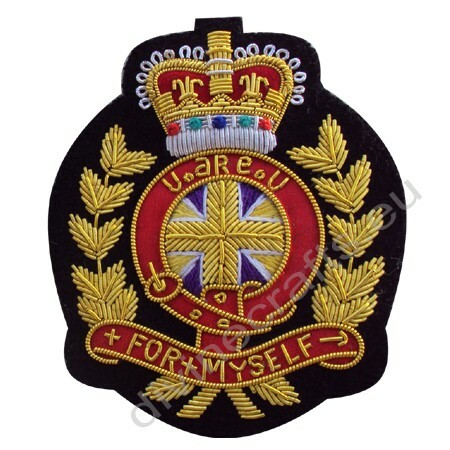 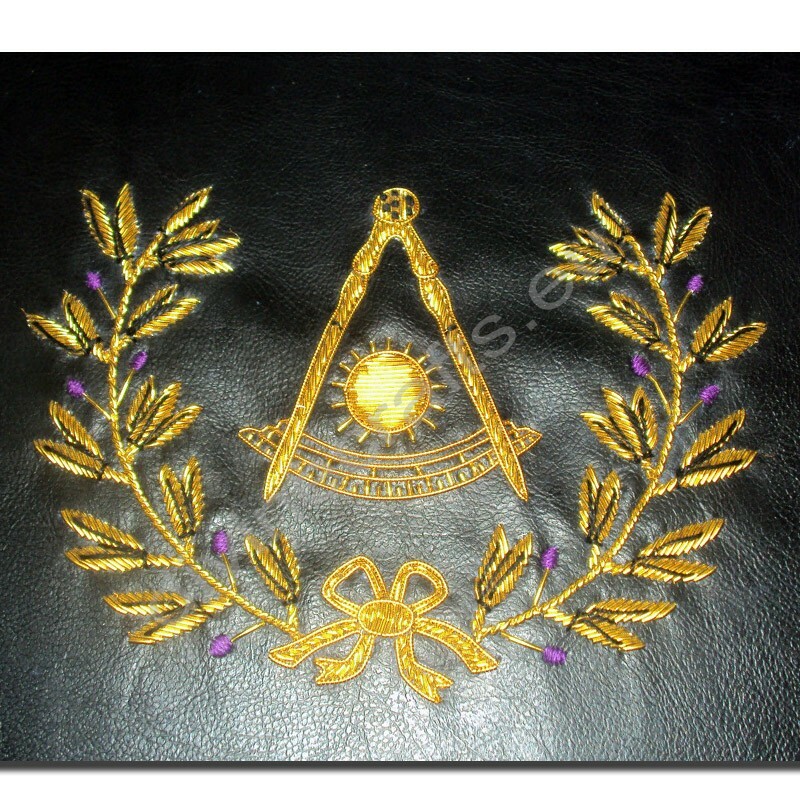 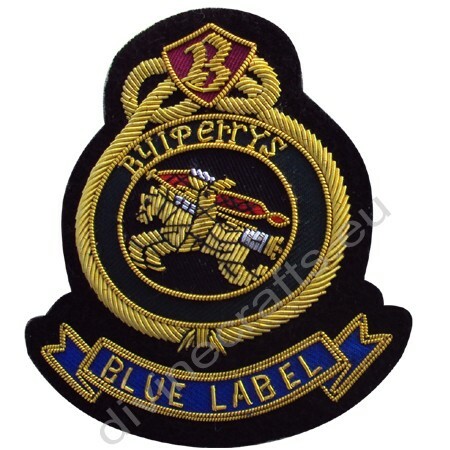 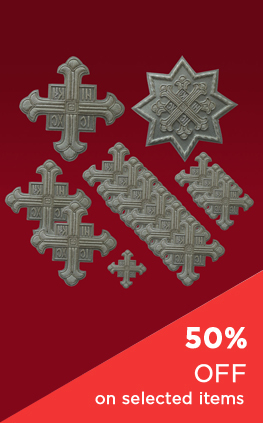 Emblem is hand embroidered with silver / gold bullion wire and thread. 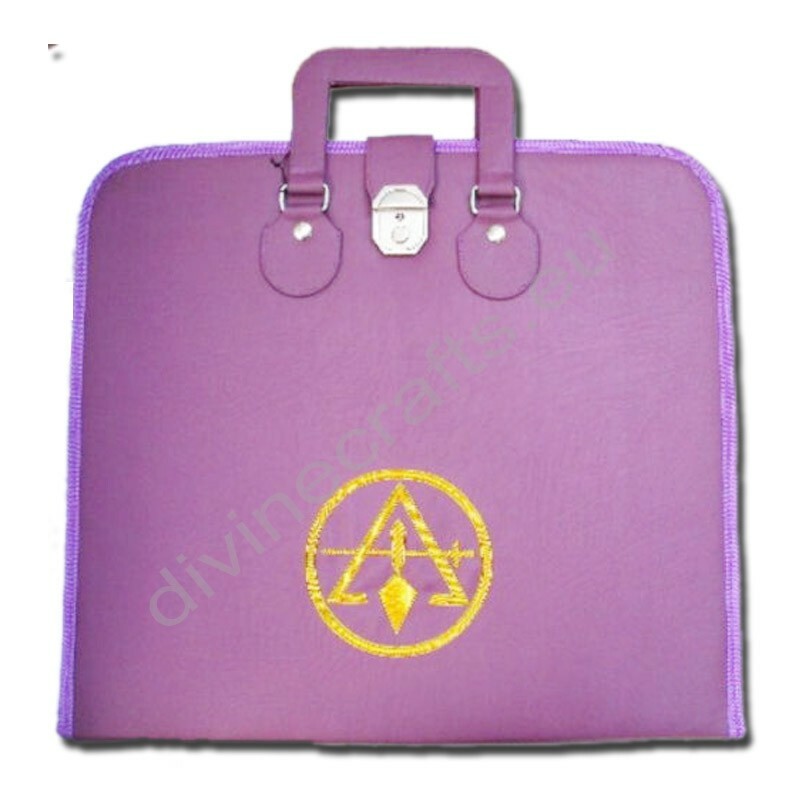 Apron case has a matching lining with quality purple fabric inside with 2 pockets, one with slider, and elastic band to hold apron firmly with plastic buckle catcher.